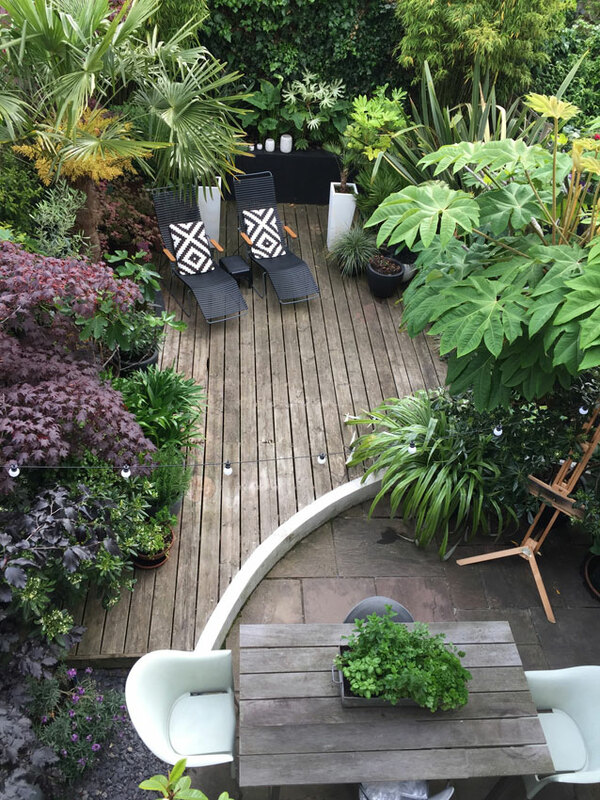 Back gardens are always intriguing …behind a normal Victorian terrace who knows what the owners have created as their own little patch of nirvana! 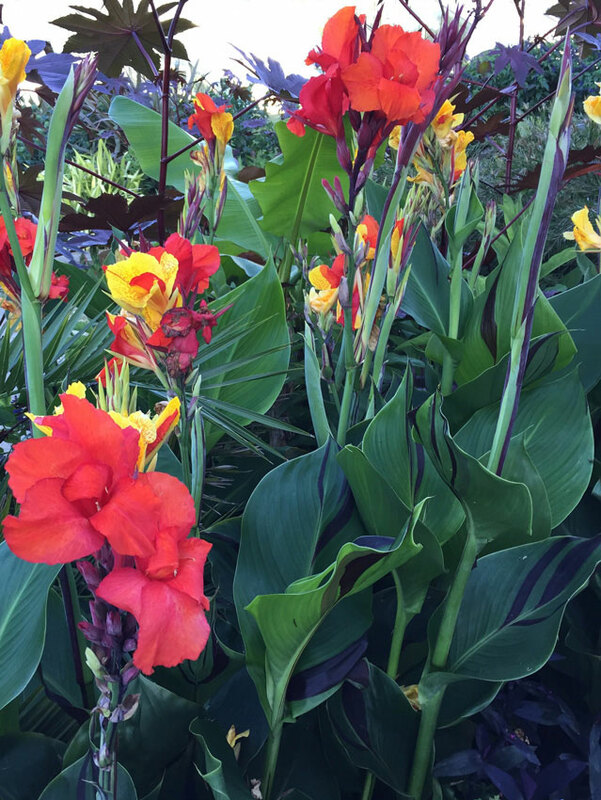 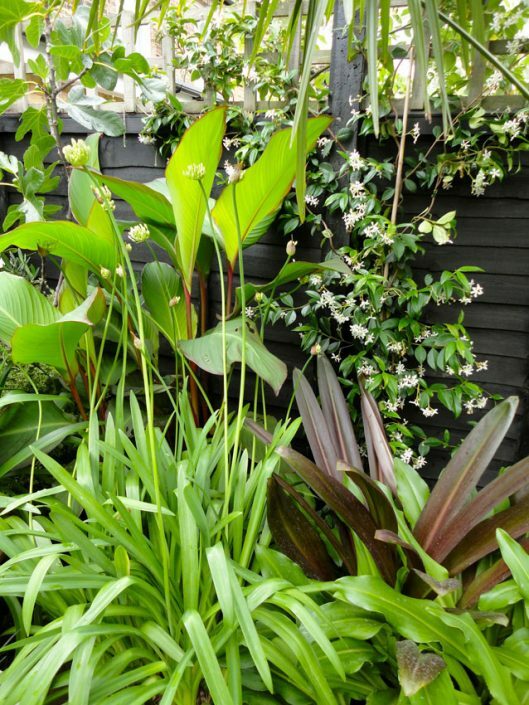 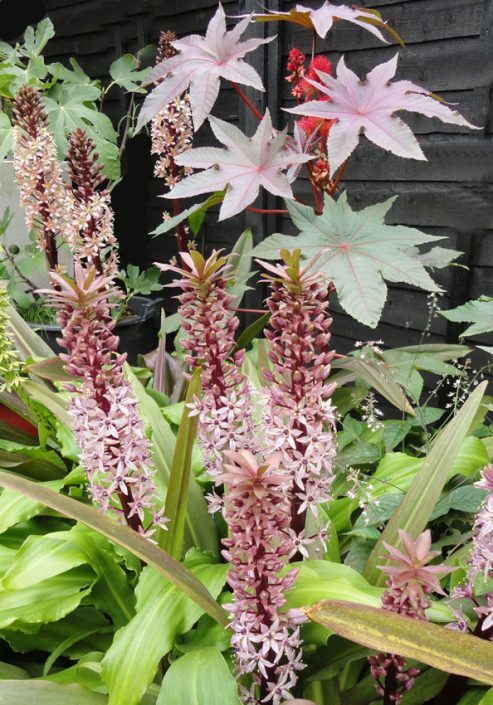 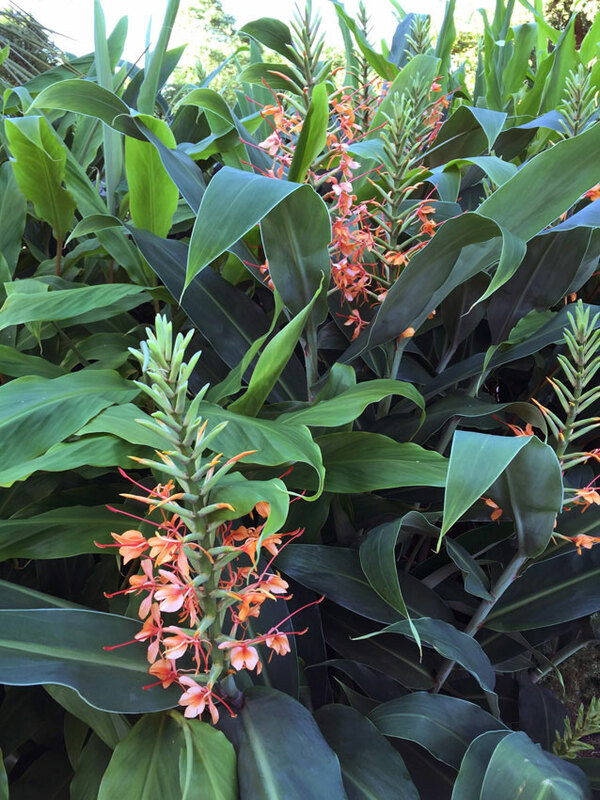 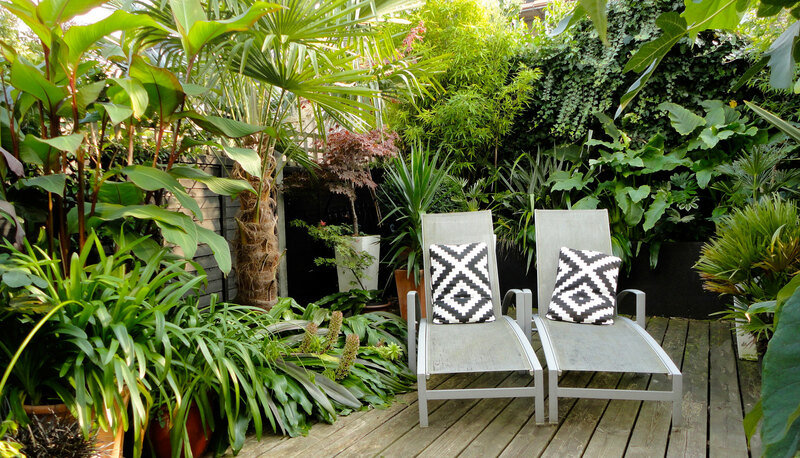 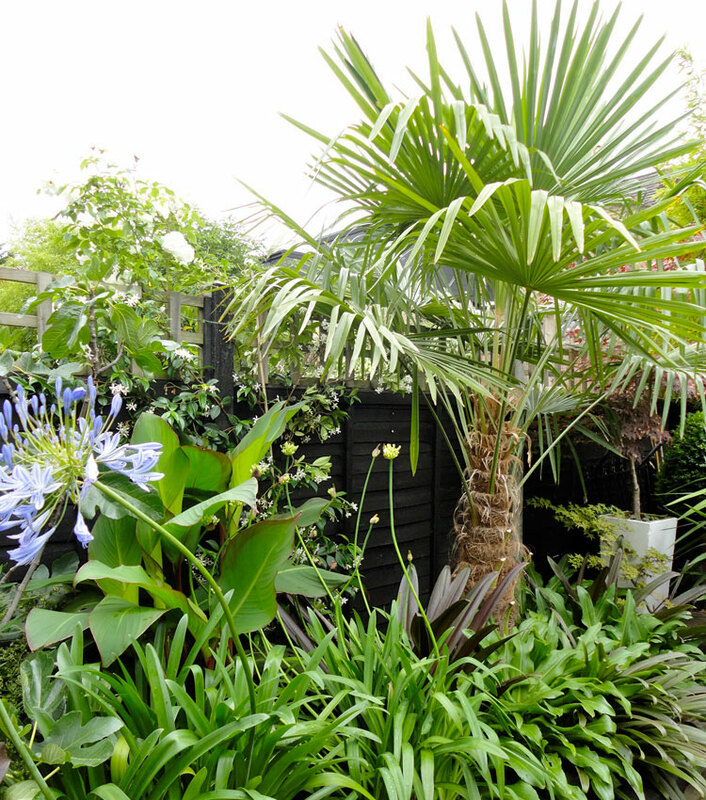 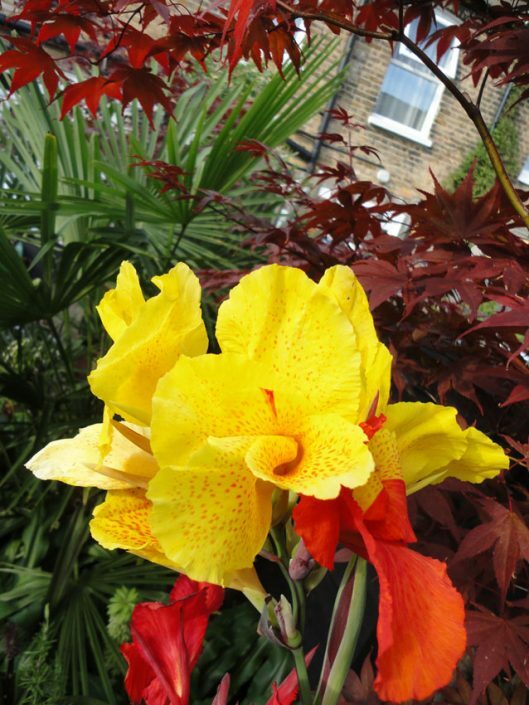 This garden features many ‘exotic and tropical’ looking plants that can be hardy in south facing London gardens. 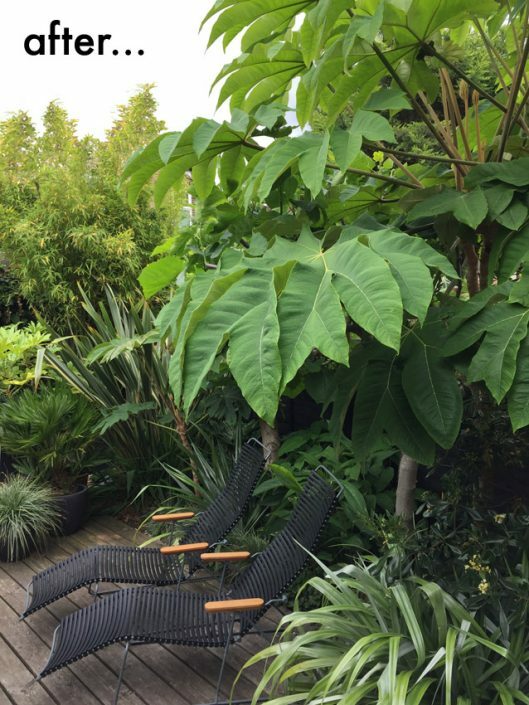 An exotic tropical atmosphere was created by making split levels, a paved area for morning sunshine & coffee stepping up to a deck for evening dining. The boundaries were all stained matt black to make the architectural foliage really pop against the dark backdrop. 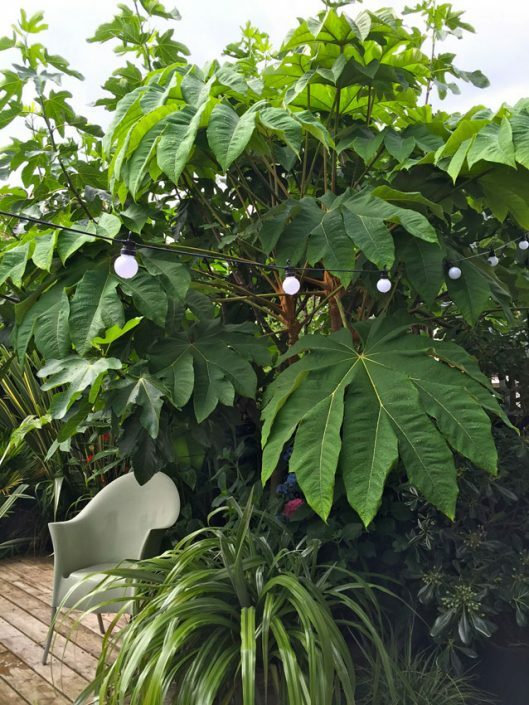 Huge oversize pots were planted up with fig trees, which will produce a good crop of figs in a sunny year. 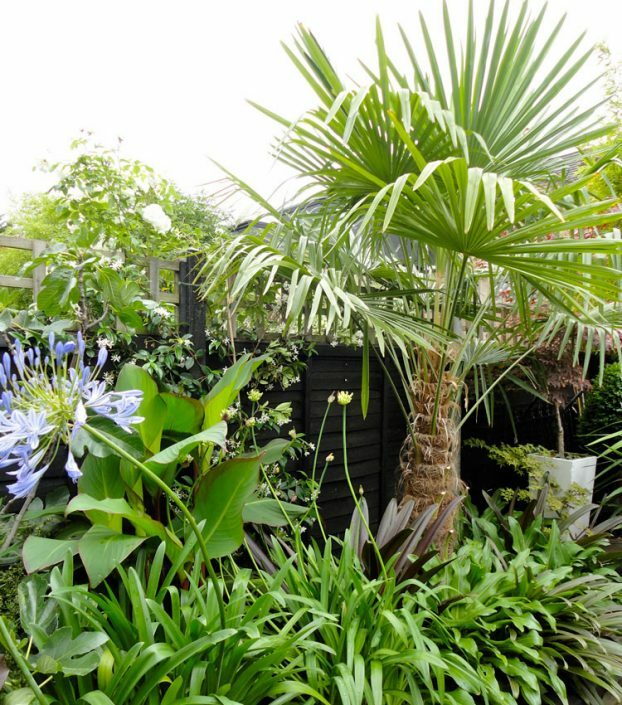 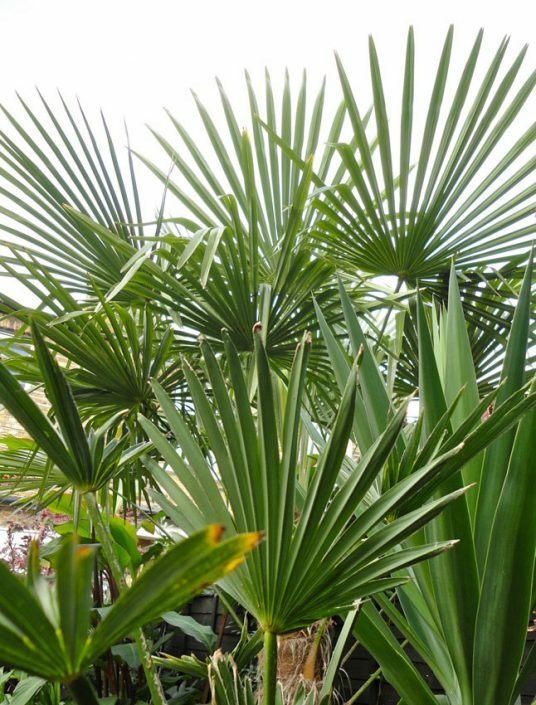 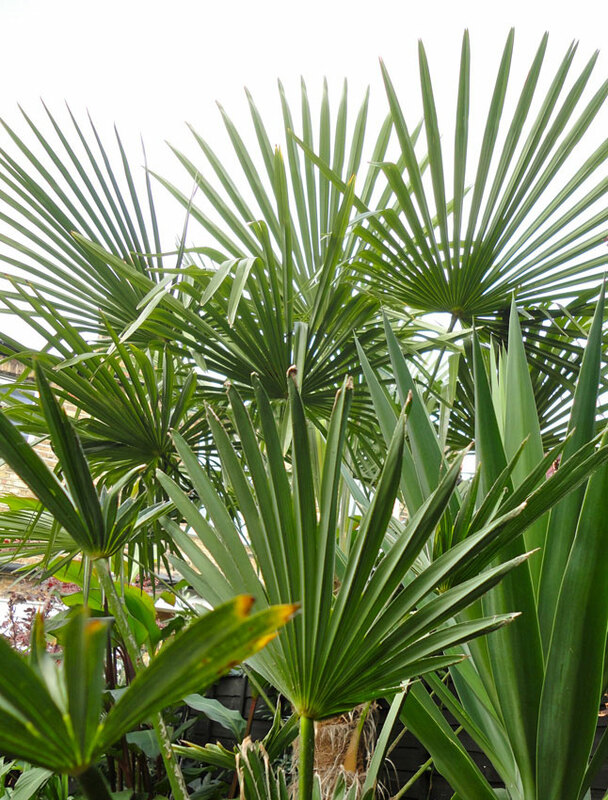 Any tropical garden is not complete without a palm tree so trachycarpus fortunei – the chusan palm is the one to plant as it is the only palm tree that can withstand freezing temperatures down to approx minus15 degrees in a hard winter. 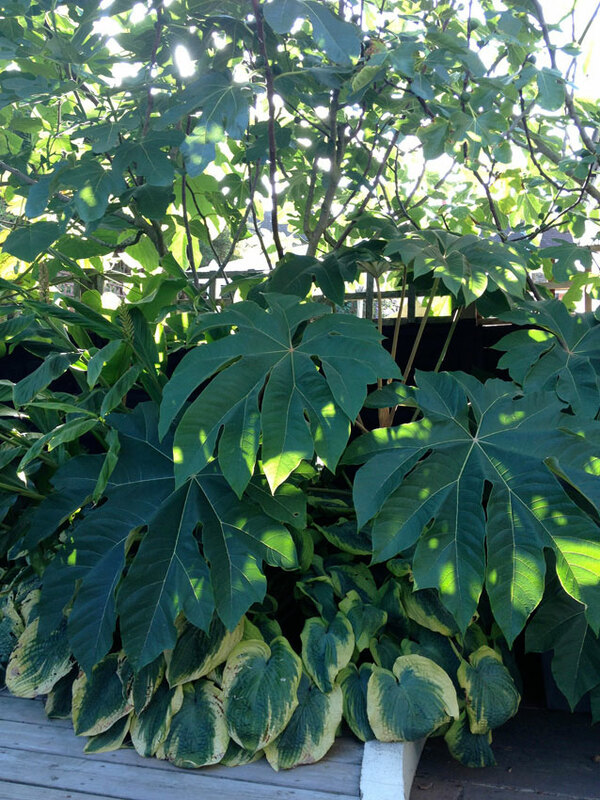 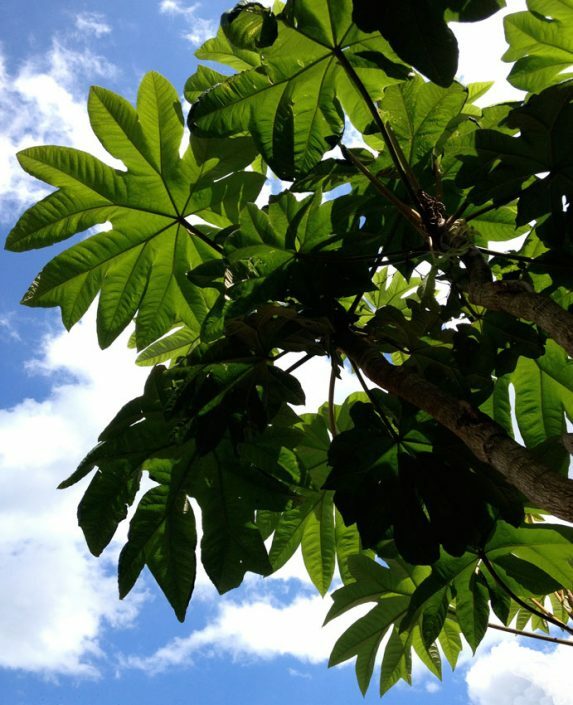 Architectural big leaf plants form the backbone to the scheme – fig trees, phormiums, pawlonia, tetrapanax to name a few.